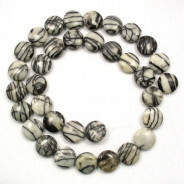 A-Grade Black Onyx Stone Round 14mm (~28pce Strand) - 40cm/16'" Strand. 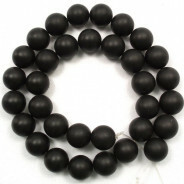 A-Grade Black Onyx Stone Round 14mm (28pce Strand) - 40cm/16'" Strand. 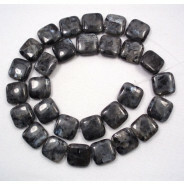 Onyx is a cryptocrystalline form of quartz. 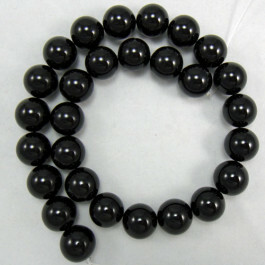 Black Onyx is a stone associated with wizards and sorcerers. In classical times it was engraved with the image of Mars as an icon of courage. 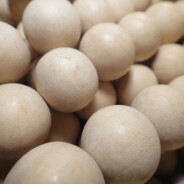 In the Middle East it is believed to absorb sorrow.